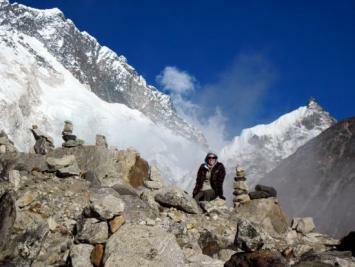 At 16, 830 feet, Michelle Boyer of Saint John, New Brunswick found a beautiful backdrop for a photo while trekking in Nepal's Everest Region. 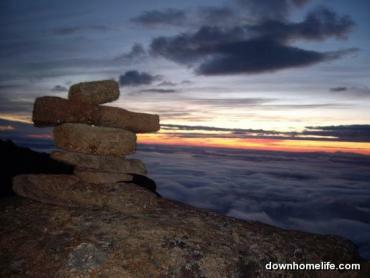 In the June 2011 issue we brought you eight amazing mountaintop views in Newfoundland. 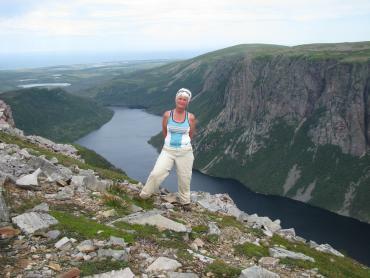 And while our readers have a true appreciation for Newfoundland scenery and exploring, they are also world travellers! Here are more stunning views that were worth the climb for our readers, taken both near and far. Reader Jane Smith of Ottawa, Ontario was even above the clouds at 10,000 feet up on the Haleakala volcano, located on the island of Maui, Hawaii. While working on Canada's north warning system for the Nasittuq Corporation, reader Kristin Simms of Happy Valley-Goose Bay, Labrador made it to the Kiglapait mountains in northern Labrador. 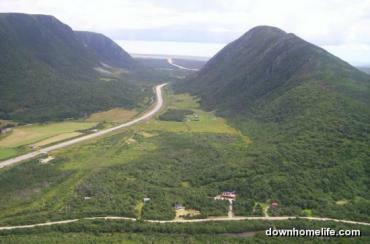 Reader Dave Dominie of Lower Sackville, Nova Scotia says this photo was taken from the top of "Red Rocks," just outside Port aux Basques, Newfoundland. 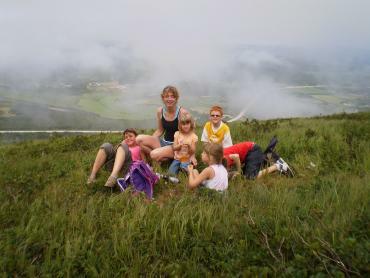 From this vantage point, he took in awesome views of the Table Mountains and the Codroy Valley. 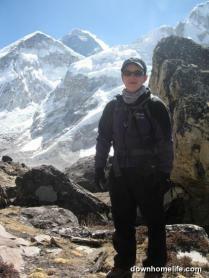 "In April of 2010 myself and three other Newfoundlanders accompanied TA Loeffler and trekked into Mount Everest Base Camp (17, 598 feet). This picture was taken from on Kala Patar - a peak which offers a fantastic view of Mount Everest," says reader Natelle Tulk of St. John's, Newfoundland. "My husband Rodney and three of his co-workers travelled to Fort Collins, Colorado for work, and their spouses joined them for a holiday. While in Colorado, all enjoyed one day high in the Rocky Mountains taking in the stunning scenery. 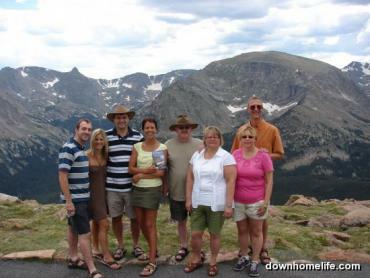 Enclosed is a picture of our group at about 12,000 feet and if you look closely, you will see we have our Downhome magazine," writes Yvette Kendall. 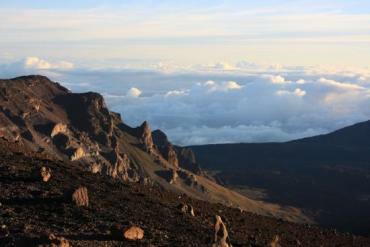 Do you have a stunning mountaintop photo? Click here to submit. Although they both have day jobs, Doug Forbes and Darlene English are night owls, driven to stay out past the witching hour when the sky is clear. 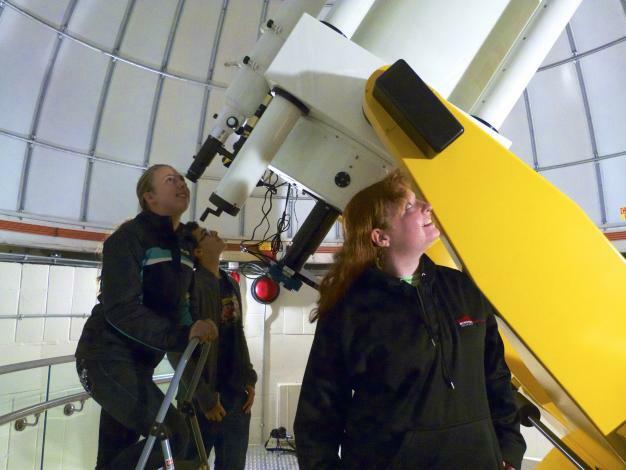 The married couple are astronomers, and they're the driving force behind Grenfellâs observatory, pride of the campus and open to the public since 2012. Darlene is a senior laboratory instructor and Doug is a physics professor at Grenfell campus in Corner Brook, NL. âSo if we have been observing the night before, then coming in for an 8:30 class, not a lot of fun,â Doug jokes. âBut it doesnât happen too often.â	Doug Forbes and Darlene English are the driving force behind the Grenfell observatory.Back when the province was flush with oil money and the campus was building an academic extension, Darlene and Doug were among those asked for what theyâd like to see added to the school. Doug says their response was, âWhatever you do, when you design this building, could you make it so that it wouldnât be impossible to add an observatory?â	They got their wish and the Grenfell Observatory was completed in October 2011. At the time there wasnât even a physics program at Grenfell, yet theirs was the largest professional telescope in Atlantic Canada (itâs since been matched by the observatory at Saint Maryâs University in Halifax). The couple were so elated to have the facility, they were using it before it was even ready to open. âWe had to climb up a ladder through an elevator shaft to get up there before they had the stairway built,â Doug recalls. The Grenfell observatory has been inviting the public to view the stars since 2012. Of course in this province, astronomers have to take every opportunity they can to study the night sky. Often itâs obscured by cloud cover. 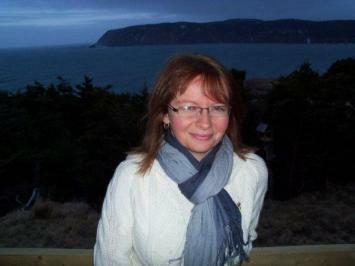 âNewfoundland probably has the worst weather in Canada,â Darlene says. The weather in Corner Brook is better than it is in St. Johnâs, though, making the west coast a better place to set up a large telescope, she adds. While the observatory is primarily used by the university for research, it does open its doors throughout the year to host community events. More than 4,100 people have been by the observatory since it opened. âWeâve had public nights where we invite the public at large to come up and observe through the telescope, so with an eye piece, be up in the dome and look at various things, the moon, the stars, planets, galaxies,â she says. 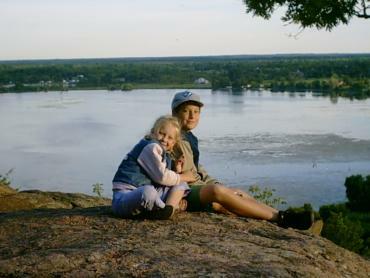 School groups regularly drop by for tours, as well as Girl Guides and Scouts. Darlene remembers a tour a few months ago when a junior high school student asked her incredulously, âDo you get paid for doing this?â	A photo of the Orion Nebula taken using the Grenfell telescope	That just goes to show that without an observatory, âthere really was no way of showing young people the sky and showing them that an astronomer is a profession, a scientific profession,â Darlene says. There arenât any public events planned for this month, as Darlene and Doug are retiring. But while they are leaving Grenfell, the observatory will carry on. âThis telescope will be here 50 years from now, plus, still working away,â Doug says, adding, â[Itâs] been a tremendous tool for teaching and getting people interested in science. Weâre really glad it was possible to have it.â - By Elizabeth Whitten (Images courtesy Darlene English)	August Events to Watch:	Perseid Meteor Shower August 10-12Darlene calls these the Oscars for astronomers, as itâs the biggest show of the year. You donât need a telescope; in fact youâre better off without one. âYou donât want to be limited to the small amount of sky a telescope can see,â says Darlene, because the meteors streak right across the sky. âA lawn chair or a blanket in your backyard, if you have a dark sky, thatâs the best place to see a meteor shower.â	Planet ConjunctionsAugust 24: Mars and Saturn will be very close to each other.August 27: There will also be a triple conjunction of Mercury, Venus and Jupiter. Because they are low on the horizon, âYou have to be able to see the horizon really well, no mountains in the way or anything,â Darlene advises. By Linda Browne Sitting in her office at town hall, Mayor Priscilla Corcoran Mooney is having a typical Tuesday evening. As she pours over the Integrated Community Sustainability Plan that has to be submitted to government by the end of March, she listens to the sounds of toes tapping, fingers snapping and lots of laughter. Just outside her office door, theres a traditional dance class happening and right after that, an aerobics class. We were supposed to have a community meal here this evening but couldnt, Priscilla says. Its a busy place. 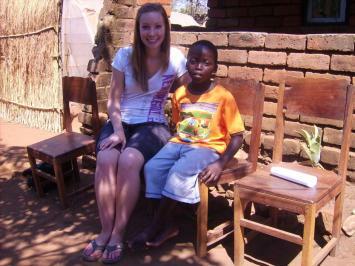 Its a community full of volunteers so that makes is a little bit easy. To gain deeper insight into Priscilla, one must first understand where she comes from. Community meals are commonplace in Branch  a town of about 300 people on the Cape Shore, along the southwest portion of the Avalon Peninsula. For the past four winters, the Singing Kitchen community meal has been drawing folks from all over the Cape every second Wednesday for a good ol Newfoundland scoff (prepared by volunteers) and a scuff with friends old and new. Branch is the kind of community where the folks living down the road are like family, where people share everything from triumphs and tragedies to teabags and table salt. 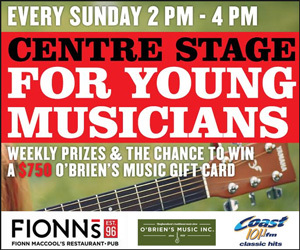 A beautiful place, it echoes Ireland with its rolling green hills, sparkling blue ocean and gentle lullaby hush of the Branch River that runs through the heart of town. To read the rest of this story, check out the April issue of Downhome, on stands now! Awards and Accomplishments 2003  Received a national award from the Canadian Community Newspapers Associations Better Newspapers Competition for her three-part series on the 10th anniversary of the cod moratorium 2007  Received Flare Magazines Community Volunteer Award 2009  Received Memorial Universitys Alumni Horizon Award for Outstanding Achievement Under the Age of 35 Other accomplishments: When she was on the towns recreation committee several years ago, Priscilla helped organize the Well Teen Club, a series of evenings where local youth would gather to hear speakers talk about different aspects of adolescence: drugs, alcohol, healthy living and sexuality. Priscilla also helped organize Rural Womens Health Days, where women living around St. Marys and Placentia could come together to learn about community health and healthy living. 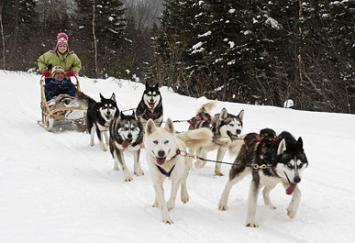 Haven't experienced the thrill of dog sledding? Click here to check out this video and watch part of one dog sledding excursion, offered by My Newfoundland Adventures on Newfoundland's west coast. 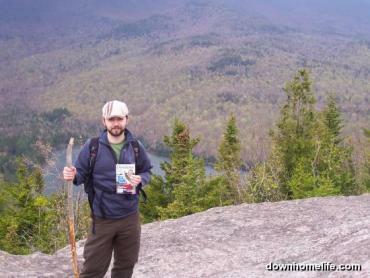 For more information about this truly Canadian adventure, check out the February 2009 issue of Downhome magazine.